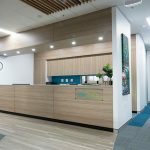 Southgate Medical Centre presented Interite Healthcare Interiors with a brief outlining the importance of maintaining strong visual references to the centre’s brand and culture, and the embodiment of a “lounge” atmosphere, whilst diverting away from the traditional clinical stigmas associated with medical environments. The cleverly thought out design arrangement and functionality of hot-desking, booth seating, lounge seating, and a tea-prep area allows the waiting area to provide patients with choice and comfort. 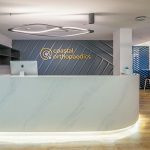 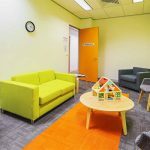 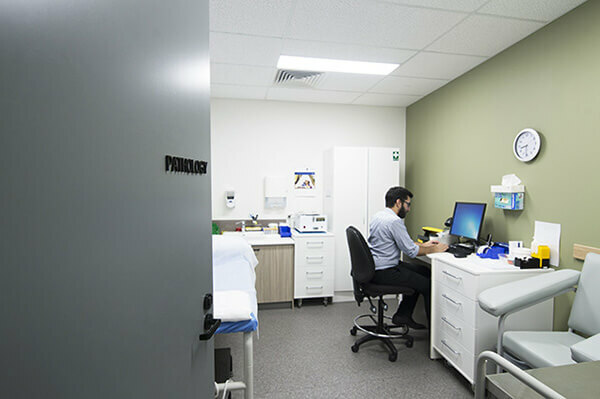 This open-plan space not only is designed to cater to all patient’s individual requirements, but it maximises their positive client experience. 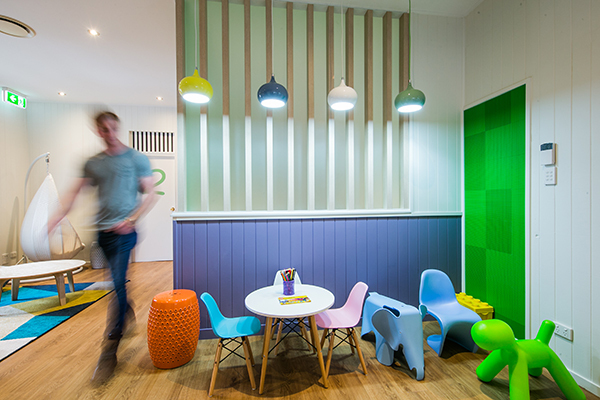 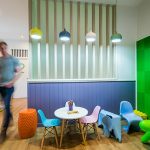 The colour palette and design elements influence the patient’s and staff’s thought processes by allowing a cognitive recognition between these elements and the organisation. 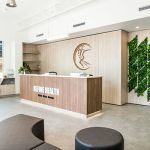 Creating this comfortable and on-brand design, whilst also maintaining levels of functionality, healthcare standards, and diverting away from traditional clinical stigmas in medical environments presented a unique design challenge to the team at Interite Healthcare Interiors. 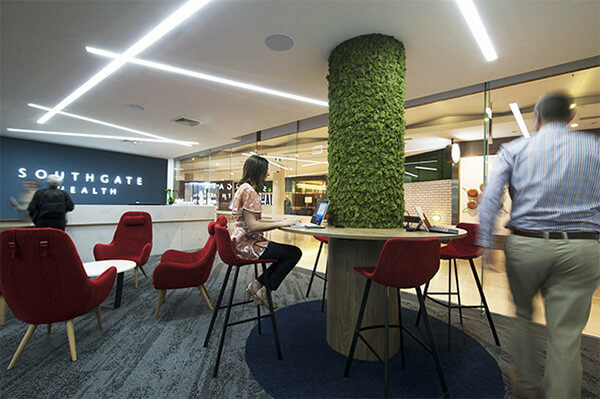 This challenge was overcome through the utilisation of biophilic design, bringing warmth into the open-planned area, and a sense of sophistication, coupled with the use of high-end finishes. 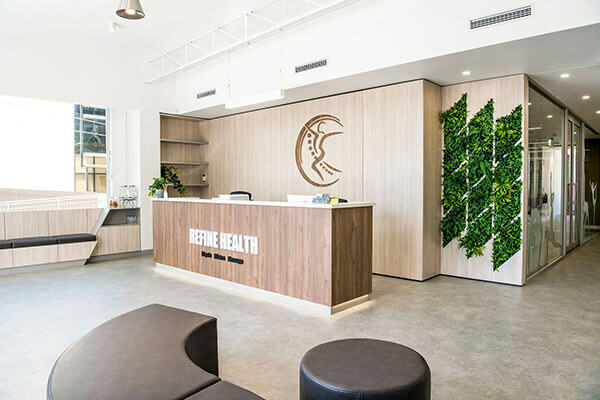 The patient-centric design is further considered through the linear references throughout the design. 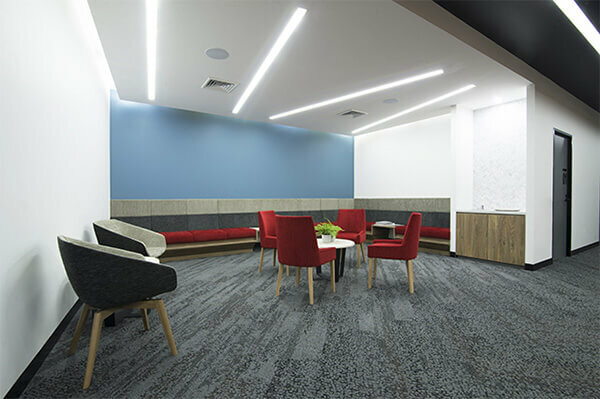 The directional herringbone and suspended pendent light assist in wayfinding and also establish a subtle corporate aesthetic. 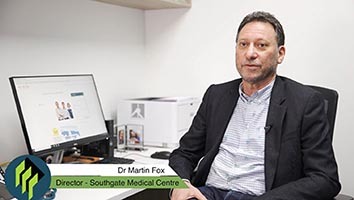 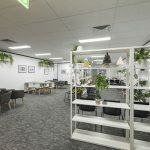 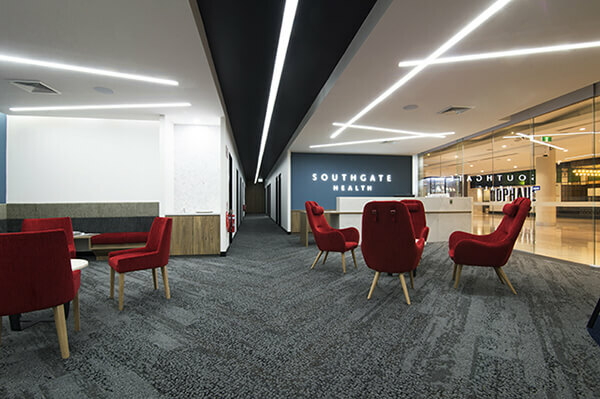 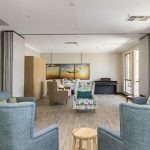 Interite Healthcare Interiors are extremely proud of the successful completion and handover of Dr Martin Fox’s, Southgate Health, with the project’s final value of $550,000 reflected in the exceptionally executed fitout, across its full 350m² space. 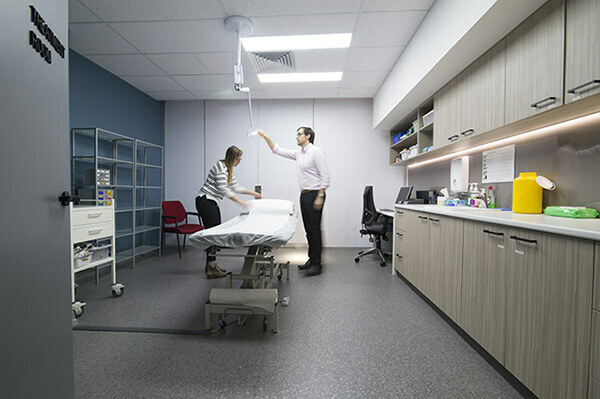 We are extremely happy with the quality of the project that Interite Healthcare Interiors has been able to provide for us. 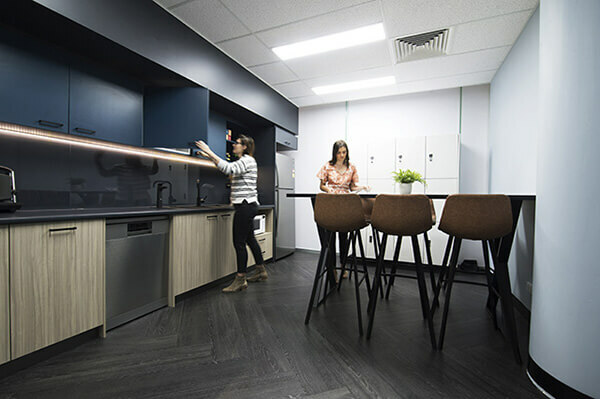 It ran to time, communication was excellent. 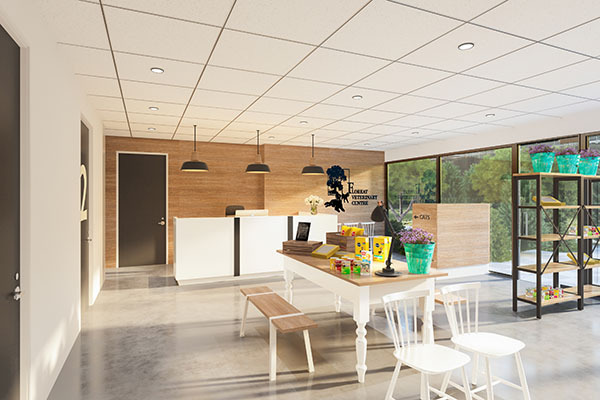 We have no hesitation in recommending Interite. 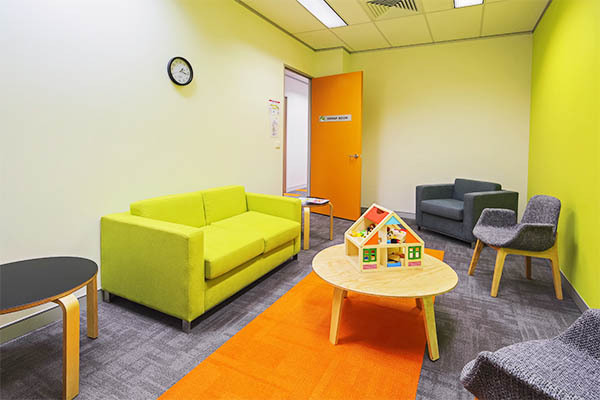 Our staff are feeling really comfortable and happy coming in to work, they see this as a very positive space.